At Progressive Dental Care of Tulsa, Dr. Walter M. Davies, III and our team go to great lengths to provide the very best care for Tulsa’s families. In order to assure that we are meeting your needs, we have adopted a few key principles to guide our focus as a practice. Taking pride in the care we provide is of the utmost importance to us. This passion for excellence is reflected in every aspect of our practice from our interactions with patients, to our procedural methods, and even in the materials we use to carry out those treatments, which are American made whenever possible. Our high-tech dental practice is equipped with some of the latest, minimally invasive technologies for performing treatment and Dr. Davies is precise and gentle in their application. His relaxed chairside manner has been known to calm even the most nervous patients and everyone appreciates the time he takes to thoroughly explain what they can expect during their visit. As with most areas of healthcare, the practice of modern dentistry is always improving. The development of new tools, techniques, and products constantly push out the possibilities of effective patient care. Our Tulsa dental team strives to remain at the forefront of this innovation. In order to do so, we regularly attend lectures, seminars, and conventions in addition to our mandated continuing education requirements. By collaborating with our peers and colleagues in various organizations such as the ADA and the Oklahoma Dental Association, Dr. Davies and the rest of our team are able to learn from their successes and apply them to our own treatment methods. Dr. Walter M. Davies, III is dedicated to providing stellar dental care for every member of the family, including children ages 5 and over. In an effort to make this quality care affordable to patients who may need extensive treatment not covered by insurance, Progressive Dental Care of Tulsa offers financing options and an in-house wellness plan. Check us out on Facebook to learn about exciting giveaways and contests for patients. Progressive Dental Care of Tulsa looks forward to serving your family by providing affordable, high quality care. 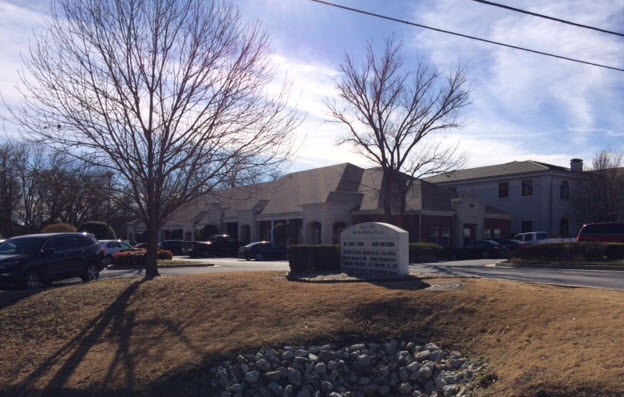 Our South Tulsa dental practice welcomes patients from the nearby communities of Bixby, Jenks, and Broken Arrow. Give our office a call today to schedule your appointment. Your smile will thank you!